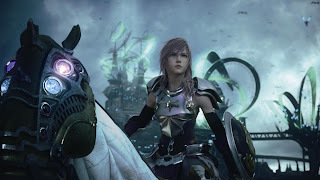 So I picked up Final Fantasy XIII-2 on Tuesday, and played for about an hour, and then went back to Final Fantasy XIII. It's not what you think though! 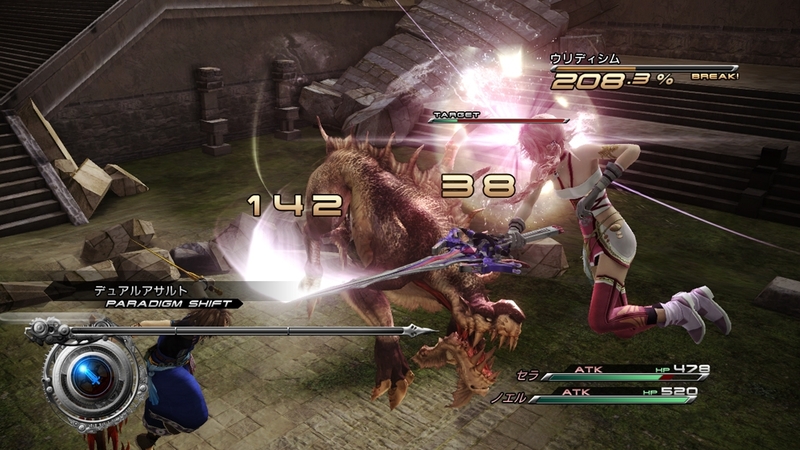 Final Fantasy XIII-2 starts off great, its just that I haven't beat XIII yet. After putting in about 35 hours of XIII, playing XIII-2 immediately after all that I could see some of the positive changes made to the game. The combat is still fun, fast, and fluid, with an emphasis on speed since there is no real animation when switching Paradigms, so you can get to things like Ravager/Commando, or Sentinel/Sentinel faster. I'm missing some of the characters already, but the focus on Serah and Noel seems to fit into the story based on how much XIII I've played so far. The Random encounter system is very welcome and offers up a chance to start battle preemptively more often than XIII, and being able to use monsters like the demo showcases will be pretty cool. Once I finish up on Final Fantasy XIII, I'll be going straight into XIII-2 with the story fresh in my mind which should help when it's time to review it. I hope to have a review up within a week or so, as long as the boss battles don't get too crazy!